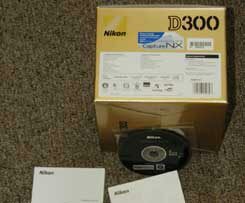 Nikon D300 reviews, compare prices with Canon EOS and other digital camera reviews | Digital photography. 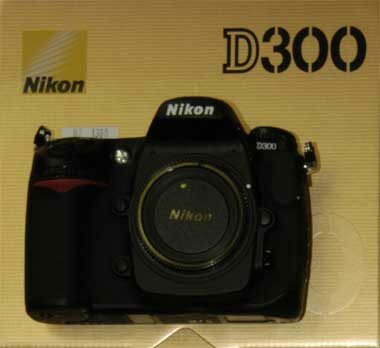 Nikon D300 tests, evaluations, reviews. Presently we have a Nikon D100, Nikon D200, Canon EOS 5D, and recently tested the Canon EOS 1D Mark III in Slovenia. 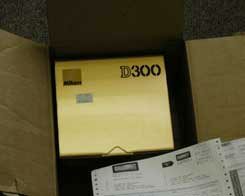 As you can see with the photographs here, a Nikon D300 digital SLR camera has arrived at FLAAR. As soon as we have time, we will begin testing to see its improvements over the Nikon D200, Nikon D100 and Canon EOS cameras. 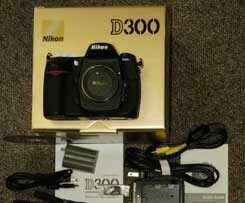 Nikon D300 digital SLR camera arriving for photography reviews and price comparisons. If you compare prices while shopping for a Nikon D300 you may end up with a scam: those web sites with the lowest prices tend to be scams. The web sites that are honest include Calumet, B+H, and camera stores that exhibit at PMA and PhotoPlus trade shows. 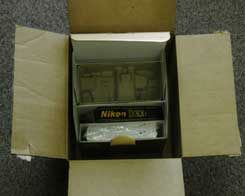 No gray market cameras; this Nikon D300 digital SLR is fully legal. Since we have used a Nikon D100 for two years, a Nikon D200 for two years, our reviews and price comparisons of the Nikon D300 will be more realistic than pseudo-reviews on commercial web sites that are simply harvesting sales commissions. 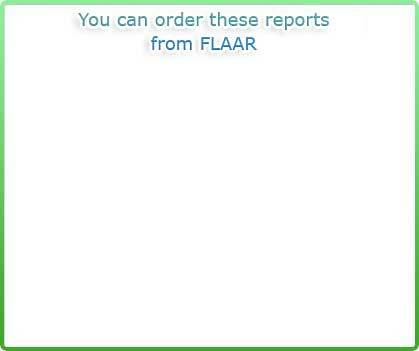 FLAAR does not receive sales commissions. The downside of being a non-profit research institute (and the downside of not taking commissions) is that we are slow to get our reviews out. But when they do appear, they are more meaningful: we actually use the cameras for photography! Not just to write a sham review. Most recently updated Feb. 8, 2008.